Up until now, numerous Bitcoin (BTC) ETF applications have been detected by the SEC. Still, many fund houses, as well as cryptocurrency investment companies, are filing for such ETF’s as well. Quoting one or the other reason, SEC up until now has been rejecting these applications. At the same point in time, the acceptance of cryptocurrencies is increasing more and more. That is why the question which many of the investors are asking is when will Bitcoin (BTC) ETFs see the light of the day. When will Bitcoin (BTC) ETFs see the light of the day? We got some clues in the recent interview of SEC commissioner, Robert J. Jackson Jr. He clearly stated that he expects some company to meet the criteria pretty soon. 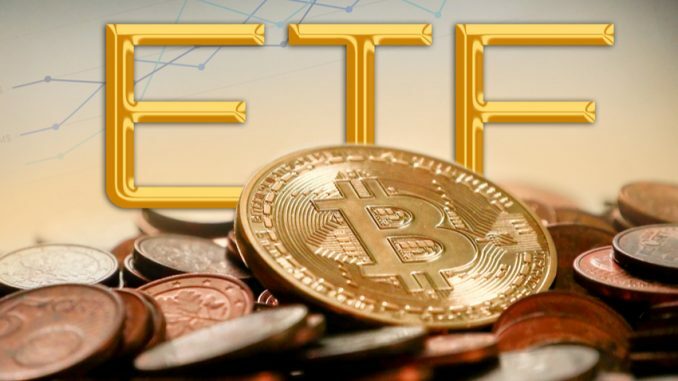 When that happens, Bitcoin ETFs will see the light of the day He was quick to add that one of the main reasons why SEC is so strict is because once Bitcoin (BTC) ETF’s get launched, retail investors will mostly start participating in Bitcoin ETFs. The risk is that retail investors trust investment products without conducting proper research. That is why, when the Bitcoin (BTC) ETF’s do not perform properly, the retail investors can get hurt as well. In such a case, retail investors can lose a significant amount of money. That is why the criteria for Bitcoin (BTC) ETF’s are pretty stringent as well. Only once a company meets that criteria, ETF’s can see the light of the day. Already plenty of companies have tried their luck when it comes to Bitcoin (BTC) ETFs. It seems like companies are finding it very difficult to abide by all the terms and conditions set by the SEC. Many are hoping that in the year 2019, there will be at least a few applications which can meet the criteria which have been set by the SEC. When that happens, the retail money can easily start flowing into Bitcoin (BTC) ETF’s. The main advantage which Bitcoin (BTC) ETFs will impart to the cryptocurrency world is that the retail money will start flowing in. The quantum of investments in Bitcoin (BTC) will increase significantly. As a result, the liquidity will increase, and the demand for Bitcoin (BTC) will increase as well. Once that happens, the downturn will halt, and Bitcoin (BTC) might again resume its uptrend.